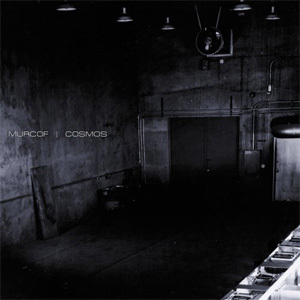 In the five years that separate Murcof’s majestic debut album, Martes, and his most recent offering, Cosmos, Fernando Corona has become one of the most respected electronic musicians around, and a source of inspiration for a whole new generation of musicians, not only in his native Mexico where his success has energised a myriad of new artists and labels, but also across Europe, with artists such as Deaf Center or part of the roster of Erik Skodvin’s Miasmah imprint openly claiming to have been influenced by his visionary take on classical sounds and electronica. Coming two years after Remembranza, which explored more complex sound and harmonic structures than its predecessor, Cosmos is an altogether much grander and ambitious record than any of his previous releases. While there are still some manifestations of the micro-beats and clicks which formed the main rhythmic support throughout Martes, most prominently on Cielo and Cometa, it is a much leaner sound, stripped of clear electronic influence, that Corona applies here. Working from recordings of original classical instruments as opposed to samples, Corona deploys a much grainier template and develops increasingly vast expanses that allow him to step out of conventional electronic forms and into much less regimented forms. Pieces such as Cosmos I and II are sprawling textural reefs in which minute particle of sound find refuge to proliferate until they occupy much of the aural scope, developing into dense polytonal drones. Yet, these are everything but austere monolithic formations. Corona buries pulsating melodies deep within the layers of sound, like little hearts pumping blood to the most remote extremities of a body. This results in ever changing clouds where noise and melody are consolidated into one to deliver an almighty blow. Cuerpo Celeste and Oort are more nuanced compositions. The former slowly develops from occasional floating swathes of strings into crashing waves of church organ and choir before dying on a bed of ambient noises, while the latter is a much more purely orchestral piece. If there are still some electronic references found on here, this closing piece takes Cosmos in a completely new direction and throws a probe into the unknown. While it is clear with Cosmos that the music created by Fernando Corona may not have yet entirely completed its mutation from electronic-based to a much more multi-dimensional and organic medium, four of the six tracks collected here clearly set a very different agenda to the one he defined with Martes. Very much like Ulysses could be seen as a premise to the open forms developed on this album, these orchestral pieces may well be the first manifestation of a very different way for Corona to approach his music. Only Cielo and Cometa provide some grounding into the past and perhaps ensures a smooth transition between two entirely different musical forms. As it stands, Cosmos is a remarkable work which defies classification and challenges the mind beyond expectations.